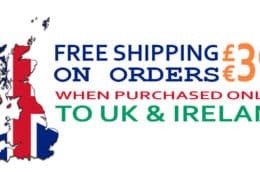 Here’s how it works: Spend over £300 or €300 and we’ll automatically apply free shipping to your basket. This offer is available across UK and Ireland, throughout February and only for orders placed online. Enjoy!